If you plan to pick up a DROID Bionic today, then here is a little tip for those of you not in 4G LTE areas yet and those of you that wish to save a little battery from time to time. Unlike the Thunderbolt at launch (although it does now), the Bionic has a built-in network mode that allows you to toggle between having 4G LTE on or using CDMA (3G) only. 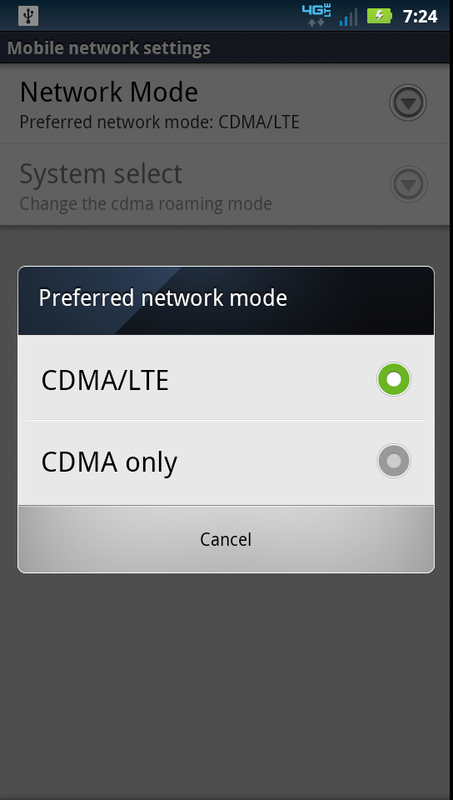 Once you tap on Network Mode, tell it to use either both 3G and LTE or just 3G. Let us know if you run into any other tips!